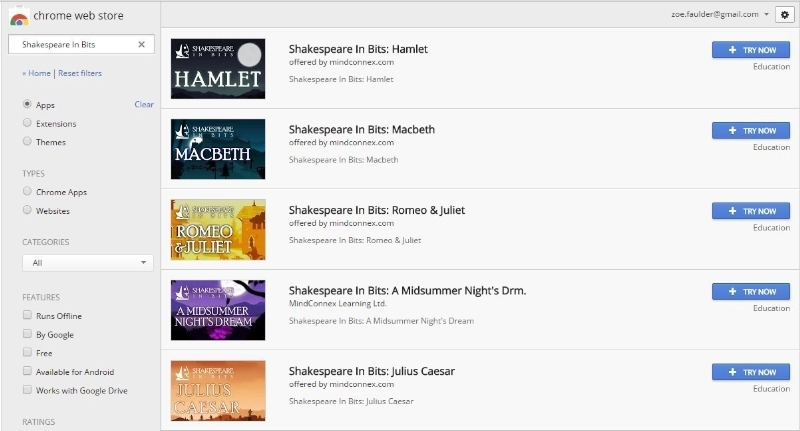 Shakespeare In Bits Chrome Web Apps Launch -- This year MindConnex Learning is expanding the scope of its offerings for Shakespeare In Bits by making all five Shakespeare In Bits plays available as Chrome Web Apps. Commenting on the launch of Shakespeare In Bits Chrome Apps, Fergus Connolly, CEO of MindConnex Learning, said, "Having enjoyed the success of Shakespeare In Bits on iPad and iPhone, as well as PC, Mac and online for schools, launching the series through the Chrome Web Store is a natural progression for MindConnex Learning. 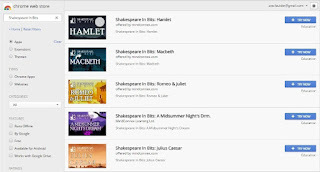 As one of the fastest growing marketplaces for educational resources, the Chrome Web Store will enable us to reach even more students and teachers with our renditions of The Bard's works. 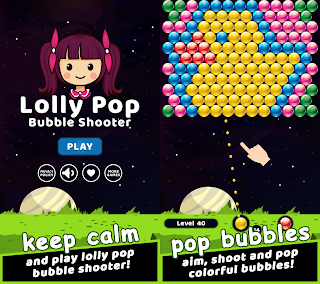 It really is an exciting new initiative from Google and we look forward to engaging with its users and customers." Shakespeare In Bits is a multimedia approach to teaching Shakespeare that fuses animation of the play with full audio soundtrack, original unabridged play text, integrated notes and analyses, as well as an inline translation system that provides modern-day translations for selected words, in their original context. In addition, Shakespeare In Bits offers a full cast feature including an illustrated map of all interrelationships in the play and a biography for each cast member. Shakespeare In Bits Live! is the online subscription service of MindConnex's award winning product. MindConnex Learning is a global provider of digital learning software solutions aimed at the school education sector. MindConnex Learning offers an easier way to learn and teach using rich, contemporary multimedia designed to engage the senses and create empowering, relevant and personalized learning experiences, available in easily downloadable software programs that can be used on virtually any platform - PC, iPad, iPhone or online. 0 comments on "All five Shakespeare In Bits plays now available as Chrome Web Apps"